You don’t need us to tell you that the past several years of conversation around the entertainment industry has been largely defined by the increasingly fervent and outspoken desire to see Hollywood commit to greater representation and representation on both sides of the camera. From #OscarsSoWhite to #MeToo, inclusion riders, diversity programs, social justice and beyond, the discussion around which stories are being told, not to mention who gets to tell them, has engendered no small amount of controversy, action and—hopefully—improvement. 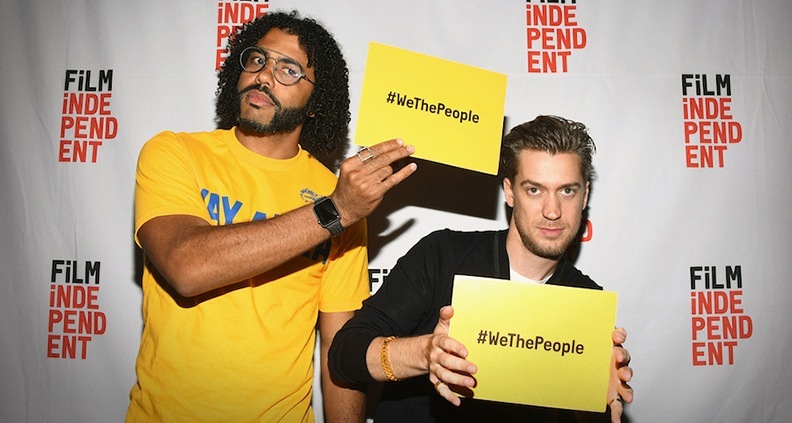 The discussion continues this weekend at the 2018 LA Film Festival with We the People. Taking place September 22 and September 23 at the Writers Guild Theater in Beverly Hills—a two-day summit committed to advancing inclusion within the entertainment industry, serving as a solution-oriented call to action. The best part? The panels are all free to attend. But there’s more to inclusion than meets the eye. With so many issues at play that it’s impossible for one weekend to tackle them all—but it’s a start. Here are the panels on tap for We The People this weekend; click here for more info. Why it’s important: The demand for episodic content is growing exponentially. Yet underrepresented groups continue to fight for visibility, well-developed onscreen portrayals and more ownership of their stories. With only a fraction of showrunners and writers coming from underrepresented backgrounds, we ask: Who determines who sits down at the writers’ table? Who sits at the head of that table? What do the people who are telling these stories look like? The numbers aren’t good—and it’s time we talked about it. Why it’s important: People with disabilities are a vibrant and intersectional group that constitute close to 20% of the US population. Society habitually stigmatizes differently-abled persons. And, by way of erasure, so does the entertainment industry. Those with disabilities account for only 2.4% of all speaking parts in film, and less than 2% in television. Through advocating for more visibility and representation on the screen, we explore practical ways that the industry easily can and must do better. Why it’s important: What is the relationship between art and politics, artist and activism? We call upon artists of various disciplines to explore how they provide different points of entry to explore politics and social activism in their work. How does art inform the collective consciousness of a people and also serve to disrupt the so-called “status quo”? With the midterm election upon us, how do we collectively do our part? Why it’s important: Although not often discussed, the divide that exists for women and people of color working in entertainment crafts is astonishingly wide. We talk to filmmakers about reasons they’ve implemented changes in the ways they hire and in the jobs they’ll take—and to what degree of success. We’ll also explore why having more representative crews means having a better set and, ultimately, a better film. Why it’s important: Films helmed by (and featuring) underrepresented groups had an amazing 2017, and the trend continues in 2018. The myth that films that accurately reflect complex and diverse realities don’t traditionally perform at the box office is being dispelled. We examine how films made for diverse audiences aren’t a trend—they’re good business. Why it’s important: Many entertainment companies, nonprofits and guilds have diversity programs that serve people from backgrounds traditionally underrepresented in the film industry. How should participants navigate these programs to maximize their chances of future success? What happens to the participants after these programs are over? These programs are helping to bridge the gap via training, but what else could be done to increase the number of diverse professionals in the entertainment industry? Will we ever get to the point where Diversity Programs are no longer needed? Why We’re Excited: With themes and subject matter expanding in film and television, should journalists be granted more opportunities to review content that relates to their lived experience? And at the same time, should writers from underrepresented communities exclusively be used by outlets to review “diverse” content? We explore how important the worldview of the reviewer has become. Why We’re Excited: Regina Hall began her acting career in the late 1990s while simultaneously earning a Masters degree from New York University. With numerous film and television credits to her name, Hall has emerged as one of Hollywood’s most sought after comedic actresses. Hall recently lit up the big screen in Girl’s Trip, alongside Jada Pinkett Smith, Queen Latifah and Tiffany Haddish. Later this year she will appear as the lead in Support the Girls, the new film from acclaimed independent filmmaker Andrew Bujalski. Hall will discuss her career in Hollywood with moderator Elvis Mitchell, curator of the Film Independent Presents screening series. 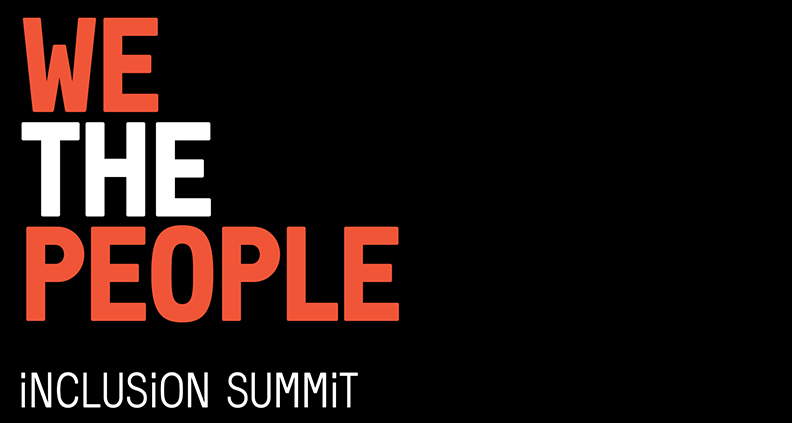 Wrapping things up will be an exclusive We The People Keynote conversation from 4:45-6:00 PM on Sunday, September 23. Speaker to be announced, so be sure to check back with the event’s official ticketing page regularly. Tickets to screenings and events at the 2018 LA Film Festival and events are now available to both Film Independent Members as well as the general public. Festival Passes are on sale as well. Visit tickets.lafilmfestival.com. Be sure to follow the 2018 LA Film Festival Twitter, Facebook, Instagram and YouTube. Visit our official Festival Store by clicking here. The 2018 LA Film Festival runs September 20-28. Click here to learn more.